Consumer goods behemoth Unilever Plc is in talks to acquire consumer products startup The Honest Company, co- founded by Hollywood actress Jessica Alba, media reports said. The Wall Street Journal reported, citing people familiar with the matter it didn't name, that Unilever is discussing a deal above $1 billion but much lower than the startup's previous valuation of $1.7 billion. 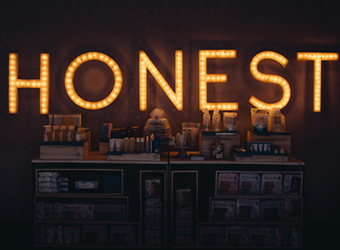 Honest Co. has raised $200 million from investors including General Catalyst Partners, Lightspeed Venture Partners and Fidelity since it was set up in 2011. It generates about $300 million in annual revenue, and sells both through retailers such as Target and via its own website. Any deal with Honest Co. will be the second for Unilever after it purchased Dollar Shave Club for $1 billion deal in one of the largest e-commerce acquisitions in recent months. In another deal recently, Walmart acquired e-commerce company Jet.com for $3.3 billion. Tech news provider Re/code had first reported that The Honest Company was in talks with consumer good conglomerates such as Procter & Gamble and Unilever. Honest Co. is led by CEO Brian Lee, a serial entrepreneur who most recently ran online shoe retailer ShoeDazzle. The company started by selling non-toxic, eco-friendly diapers and other baby products but has since expanded into a variety of categories including sunscreens, baby formula and makeup. Earlier this year, the company was hit with several lawsuits claiming its products contain chemicals it says it avoids. Alba has called the lawsuits "baseless" and aimed at her company because it's an "easy target".